DICE’s Battlefield Hardline was revealed at Electronic Arts’ press conference during this year’s E3 in Los Angeles, and along with it the game’s Closed Beta was also announced. The Closed Beta went live on the day Battlefield Hardline was showcased--Monday, June 9. Later on in the same day, DICE released some official instructions on how to register for the game’s Closed Beta. A simple signing up process, all you have to do is enter your date of birth, pick your chosen platform, and log in with your Origin account. The Closed Beta, which is multiplayer-only, will be available on PC and PlayStation 4. While the Closed Beta isn’t currently live for other platforms, DICE assures that there will be an Open Beta available this Fall for Xbox One, Xbox 360, PlayStation 4, PlayStation 3 and PC. The Battlefield Hardline goodies will be made available when the game officially releases in the US and Europe on Tuesday, October 21. The Battlefield 4 dog tag will be implemented into the game next month. The full instructions on how to register for the game’s Closed Beta can be read via the source link below. 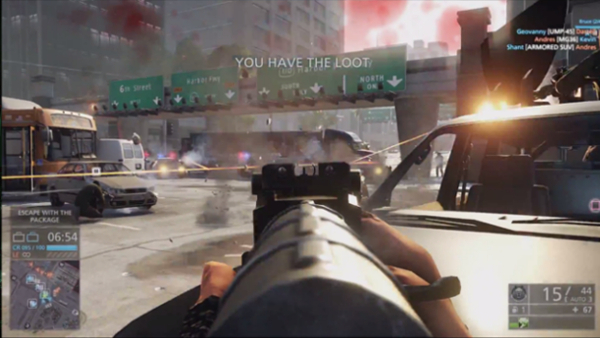 Be sure to check out some Battlefield Hardline multiplayer gameplay footage via the embedded video below. Stay tuned for more E3 coverage throughout this week.